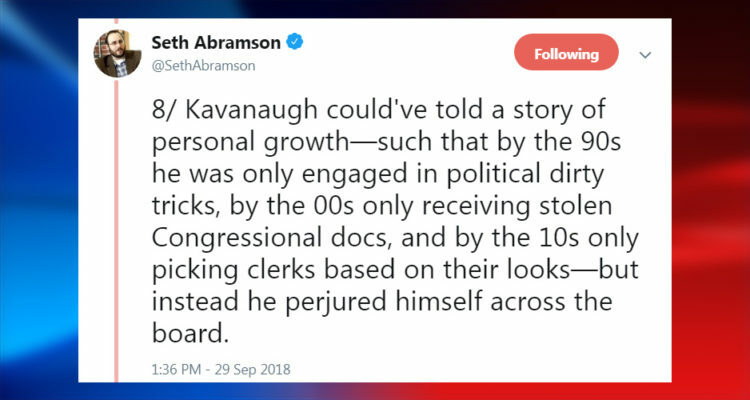 Republicans hoping to confirm Brett Kavanaugh in this lifetime get a healthy dose of reality from former criminal investigator and criminal defense attorney Seth Abramson. For those unfamiliar with his work, Abramson has been publishing extensive Twitter threads and mega-threads regarding the ongoing investigation into alleged ties between the Trump campaign and Russia. And, while he has his critics, Abramson – a former public defender at both the state and federal level – has an impressive resume. In short, I consider him to be highly credible, as does that impressive list of media outlets, above.